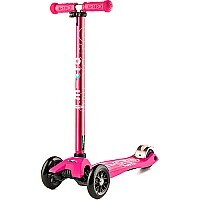 The Micro Mini 3in1 is the award-winning ride-on toy and scooter that "grows" with children from age 1 to age 5. This Deluxe 3in1 now features an anodized, adjustable T-bar. It's the quality gift that young children are guaranteed to love, and the best value present you will ever buy because your child will use it day after day, year after year. 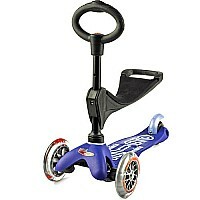 3 rides for 3 ages all in one box: At age 1 start with the ride-on seat using one of two seat heights. 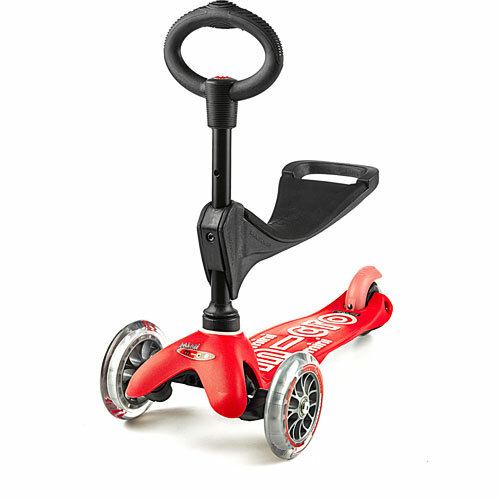 At age 2 remove the seat for a stand-on scooter with short O-bar. At age 3 replace the O-bar with the T-bar to convert to the Micro Mini Original for ages 2 to 5. Designed with young children in mind, the Micro Mini 3in1 Deluxe features soft edges, a stable upright design, and quiet, smooth-gliding, non-marking wheels that can be used indoors and out.